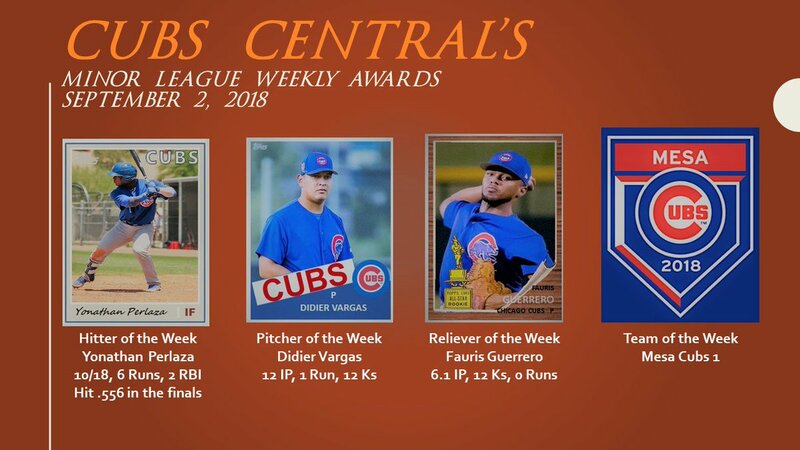 It has been a pretty exciting week in the minors between Cubs 1’s hunt for a second consecutive Arizona League title and Eugene’s neck and neck playoff race with Salem-Keizer for a spot in the Northwest League postseason. Even though Cubs 1 had the best regular season record in the Arizona League, they lost the championship 2 games to 1 to the Dodgers by giving up 5 unearned runs in the finale. Lots of good pitching will be heading up the ladder next year from the team including Peyton Remy, Didier Vargas, Jesus Tejada, and Jack Patterson. As for Eugene, they took one on the chin last night losing 6-4 to Boise. The Ems lead 3-0 early but could not hold it through the middle innings. Things are still hopeful for the Emeralds, though. They are tied with Salem-Keizer who beat Hillsboro last night. As a result, Eugene’s magic number is 2. If the Ems get in, they play a best 2 out of 3 against Hillsboro starting on Wednesday. The Emeralds have pretty much been owned by the Hops this going just 4-8. Tennessee catcher P. J. Higgins hit for the cycle last night against Pensacola in a 10-6 loss. That’s a pretty cool achievement for Higgins who has some other cool news coming later in the column. 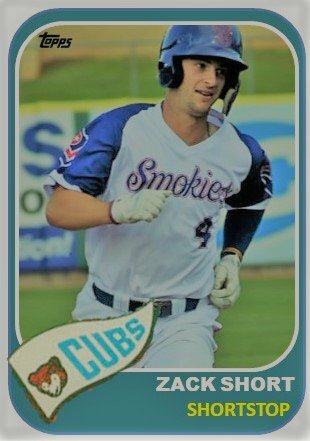 The Dominican Summer League ended on the 25th, Cubs 2 in Mesa ended the 27th, while Iowa, Tennessee, Myrtle Beach, and South Bend wrap up their seasons tomorrow afternoon. 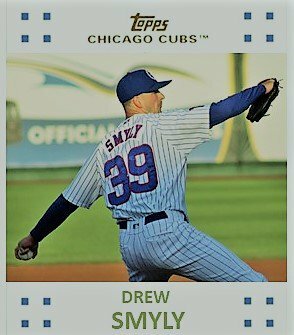 Drew Smyly showed up in South Bend and got in an inning in his rehab. He struck out all three batters he faced. Smyly might have to go to Eugene to get work in next week or two, depending on how Eugene does. Otherwise, he’d have just do a series of sim games in Chicago or Arizona as the Cubs won’t have any teams playing. The Cubs also announced ½ of their slots for the Arizona Fall League. 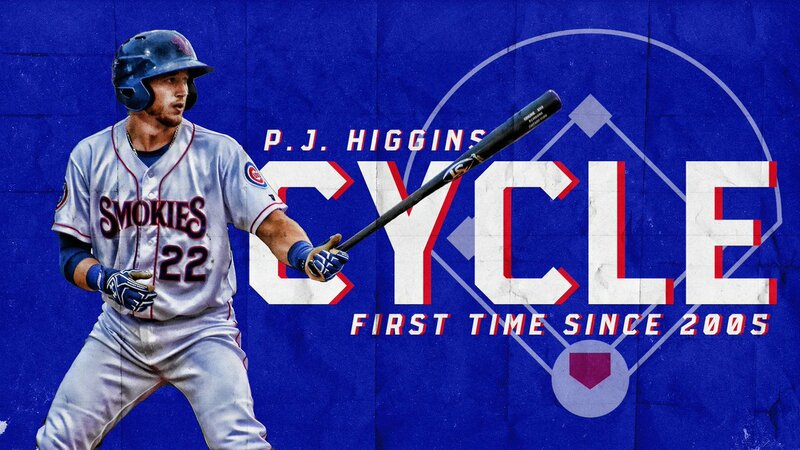 Catcher PJ Higgins, SS Nico Hoerner, 2B Trent Giambrone, and OF DJ Wilson will all get to extend their seasons and, hopefully, get a jump in their development. Hoerner is the surprise pick to attend and play. His inclusion is a sign from the organization of their beliefs in his talents. The Cubs have yet to name any pitchers to throw in the league but the Cubs reserved three spots on the roster of the Mesa Solar Sox. Those names should be announced shortly. The Cubs, more than likely, want to see how some of their rehabbing pitchers are doing when the season ends. Two of the most obvious choices to attend are Justin Steele and Bailey Clark. The newest Top 21 List is currently in flux. All the profiles of the players are written. It is just waiting on what number to attach to the prospects. It will have an ala carte menu like in the past. Part of me wants to wait to see how Nico Hoerner does in the AFL before I publish it. I have a feeling I will have to redo it once the AFL ends. Then again, it would just be moving a couple of prospects either up or down. More than likely, it will be out sometime the week of September 11. Congratulations go out to Zack Short who was named a Southern League All-Star this week. He was also named by Baseball America as the best defensive shortstop in the Southern League. Jared Young of Myrtle Beach received the same defensive honor honor for playing 1B in the Carolina League. Starter Duncan Robinson was named as having the best control in the Southern League. And Miguel Amaya was named by Baseball America as the best defensive catcher in the Midwest League. As well, pitcher Brailyn Marquez, formerly of Eugene, was named a Northwest League All-Star shortly after his promotion to South Bend. There should be more awards coming. I love writing in the offseason. There are no deadlines. There’s not a rush to get things done. I can go into depth, be brief, or do whatever I want. September is going to have a few things happening. I will still be covering Eugene and doing game recaps as long as they are playing. After the Ems’ season ends, I have a couple of short series planned. The first series is on breaking players of the second half and the second series is a two part look at players who could be making comeback in 2019 via an injury or just a poor performance in 2018. In addition, the Cards of August comes out tomorrow and the second half All-Star team drops on Wednesday. I will discuss some trends and stories in the system I didn’t cover as much as I wanted to this summer. And, over at BP Wrigleyville, I have an article coming Tuesday on Nico Hoerner’s AFL assignment. Lots of good stuff is happening. Next ›MiLB Playoff Action: A Roller Coaster Night As Eugene Gets In the Postseason!